Dimensions 0.50 by 6.75 by 10.25 in. Amazon.com description: Product Description: Mixing traditional super-heroics with mysterious martial aristry, doomed romance, and dark personal drama, Miller's character-defining Daredevil run is collected across three titanic trade paperbacks! 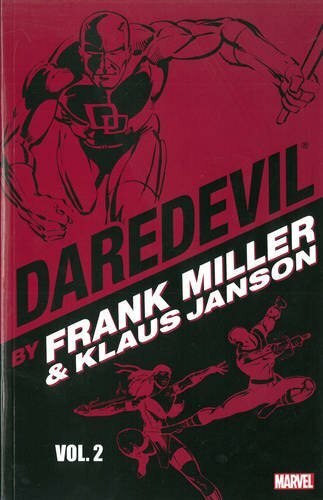 About: Mixing traditional super-heroics with mysterious martial aristry, doomed romance, and dark personal drama, Miller's character-defining Daredevil run is collected across three titanic trade paperbacks!